When I went to cut this pattern out, I realized it needs 2 cuts of the front piece for the crossover. However, there wasn’t enough of the fabric I wanted to use to cut two. Instead of making a mock crossover and attaching the binding of the top layer to the mock bottom layer, I opted to eliminate the neck binding and just use the extended front shoulder on both the left and right. The fabric is a Fresh Produce french terry knit that I dyed bubblegum pink last summer. It came as a white-on-white print and dyed wonderfully. I normally make a size 146 for my daughter and did that in this top. It seems this pattern runs a little small. The sleeves are just barely long enough. I omitted the elastic gathering at the sides because I didn’t want it to be any shorter in the body. With the current sizing, this top will only get a handful of wearings before it is retired. Good thing Spring is supposed to come in a couple months! All the pieces lined up easily, and making the change to use one piece in the front was simple enough. It’s a pattern worth making again, just in a bigger size. I’m leaning towards making the front so it only looks like two layers. My daughter’s school is pretty warm and she really doesn’t need the extra layer. Size – It seems to run a little small. Design – Good, everything matched up where it was supposed to. Make it again? – Yes, but size up. When the previews for the Spring 2013 issue of Ottobre first popped up, I heard some complaints of the lack of patterns in the bigger sizes. Ottobre patterns have a huge range, from 50 to 170 cm, which is approximately equivalent to sizing for a newborn through a 15 year old. Since each issue typically includes 40 patterns, this means attempting to provide a variety of patterns for 21 sizes with 40 patterns. Quite a task! Due to the way patterns are typically made, it’s common to see the largest number of choices in the middle sizes. This issue is no exception, with the most options being in size 116. However, I was surprised to discover that there were almost as many patterns in sizes 134, 140 and 146. Check the bottom of this post for a quick size summary! Let’s start at the beginning with cute clothing for wee ones. In the smaller sizes, there is a cute voile blouse and pants for girls. There’s a bodysuit, romper and cute hooded bunting that will work for boys or girls. 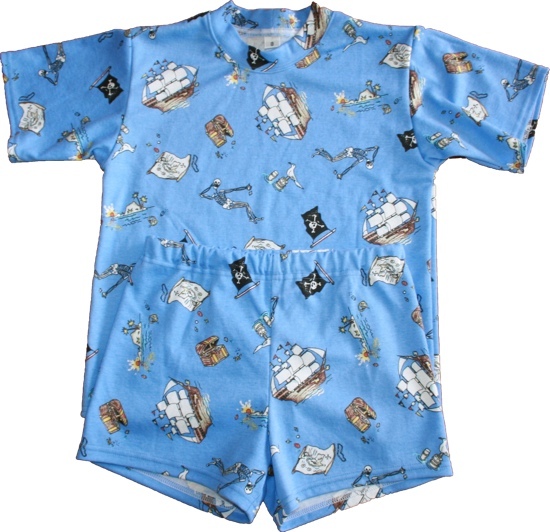 The bodysuit pattern includes a ruffle that can be omitted for boys. The tiger sweatshirt and sweatpants is designed for boys, but leaving off the tiger embellishments lets it work for girls as well. There’s also a dinosaur bunting and girl’s jacket. For toddlers and preschoolers, there’s a long sleeve t-shirt, overalls, and lined jacket that are suitable for boys or girls. There’s a cute dress done in gingham with a jumper made using many of the pattern pieces from the dress. For school-aged children, there are several patterns that span from size 92 to 146cm. These include a tank top, boxer briefs, leggings, tunic top and a pair of casual pants. At the lower end of the sizing, from 92cm to 128 cm, there’s a long sleeve t-shirt, leggings, and a Batman style sweatshirt. 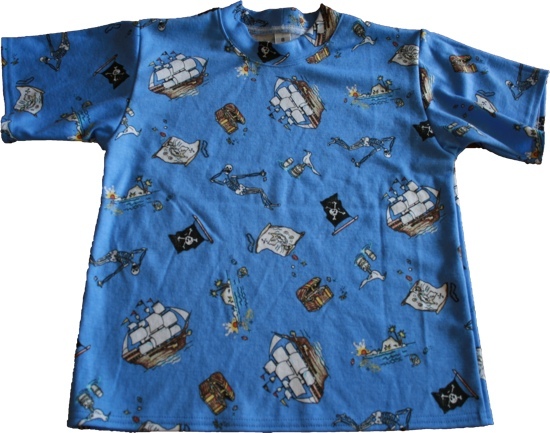 Sizes 104-146 include a long sleeve t-shirt with a mock v-neck, a girl’s tank top and bloomers and shirt dress. For fun play, there’s a chef’s jacket and hat and apron in sizes 104-146 cm. For girls in sizes 110-146 cm there’s a girl’s blouse, a button closure trenchcoat and a pair of casual pants. For boys in sizes 134 to 170 cm, there’s a hoodie, long sleeve t-shirt, baseball style jacket and corduroy pants. The hoodie could easily work for girls as well. The leggings pattern that’s made for sizes 92 through 170 is shown for both boys and girls, though, at least here in the Midwestern US, it’s not something boys would typically wear. There are also patterns for a tunic top, hooded jacket and pants with cargo side pockets, all for girls in sizes 134 – 170cm. I see some good possibilities for both my first grade son and my third grade daughter in this issue. You can see the whole issue (and buy it if you’re not already a subscriber!) on the Ottobre website. Some patterns will work for both boys and girls, either as is or with some modification, usually by leaving out an embellishment. If you are sewing for little girls in size 116, you have 19 options in this issue. There are 18 options for girls in sizes 110, 134, 140, and 146. 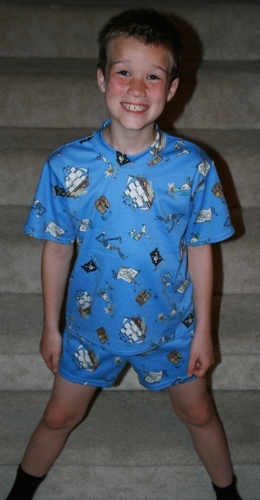 You’ll find 13 patterns for little boys in size 116, and twelve patterns for boys in sizes 92, 104, 110, 134, 140 and 146.